Grapes and Wines (Clarke & Rand) recommend that Pinot Noirs from the “home” of Côte d’Or should be drunk young “within five years or so”. 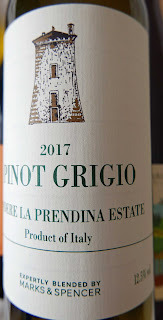 Our timing is good with this interesting one from Italy which has some pretty accomplished Pinot Noir producers. Colour of this Danese is a very light ruby. Blackcurrants and raspberries feature in the aromas. 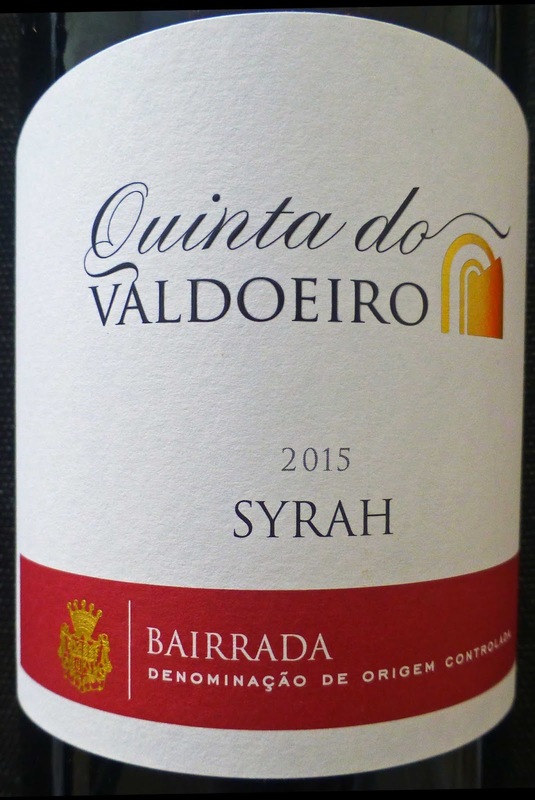 Flavour seems to be in line with the aromas; they are moderately intense and you’ll find moderate spice also, quite dry, with subtle tannins, and a decent finish. Easy drinking and got the thumbs up from a four person tasting and is Highly Recommended. Pretty good value too. 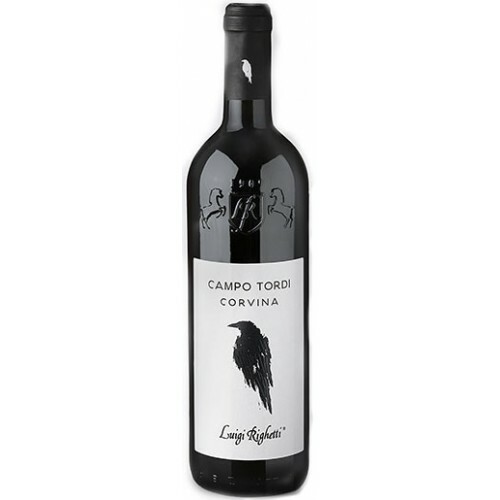 The Winery suggests pairing this medium bodied wine at 14 to 16 degrees with Roast chicken , rack of lamb, served pink. Rare fillet steak and carpaccio. Roast pork with herbs and fennel. Chicken or turkey sausages. Mushroom risotto. 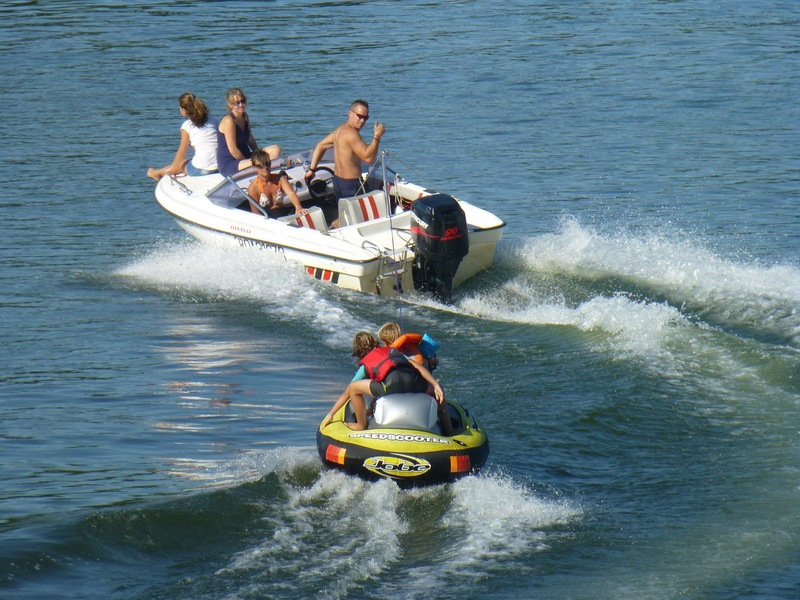 In summer, you can serve it slightly chilled. It has an inviting light gold colour; lots of micro bubbles cling to the glass. Yellow stone fruit aromas, apricot to the fore. 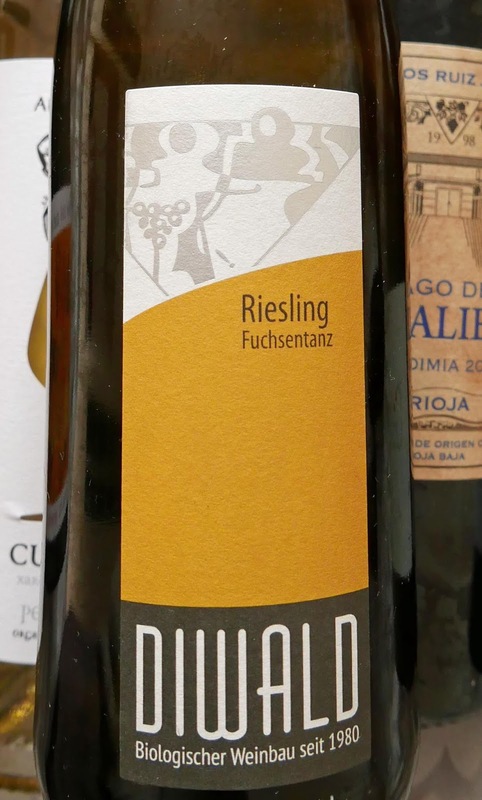 Quite a complex wine on the palate, richly flavoured, an excellent mouthfeel too (has spent three months on the lees) and a long dry finish (you’ll note the trocken on the label). A very interesting German Chardonnay indeed and, as they say themselves, an excellent “Maul voll Wein” (mouthful of wine) and Highly Recommended. 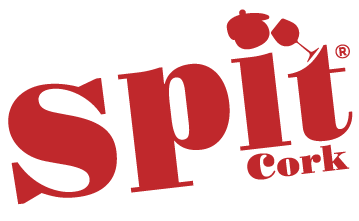 Try with poultry, fish, white meats, pasta, seafood, vegetables (including asparagus), soft cheese. 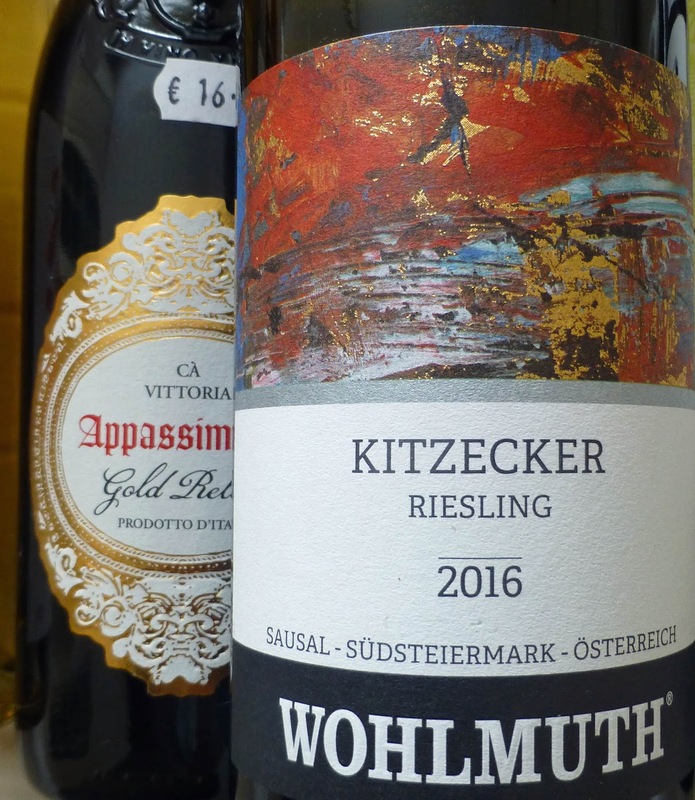 Karwig also carry other Kilian Hunn wines including Grauburgunder (Pinot Gris), Weissburgunder (Pinot Blanc) and Spat Burgunder (Pinot Noir). 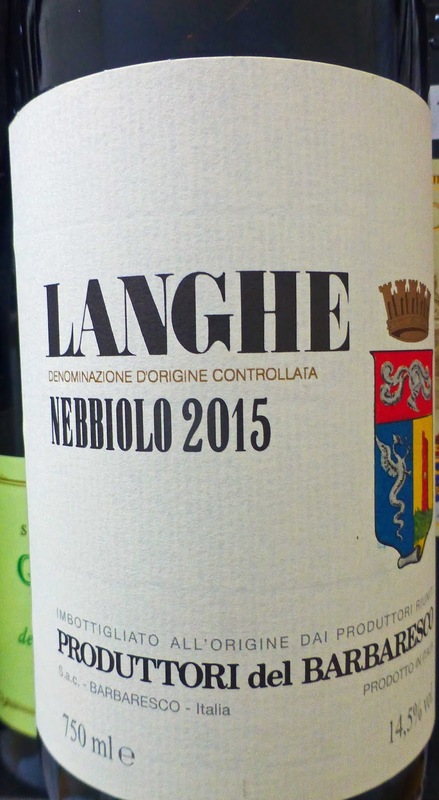 “Langhe Nebbiolo is a close relation of the famous Barolo and Barbaresco wines but one that is usually softer and more accessible.” - Decanter. 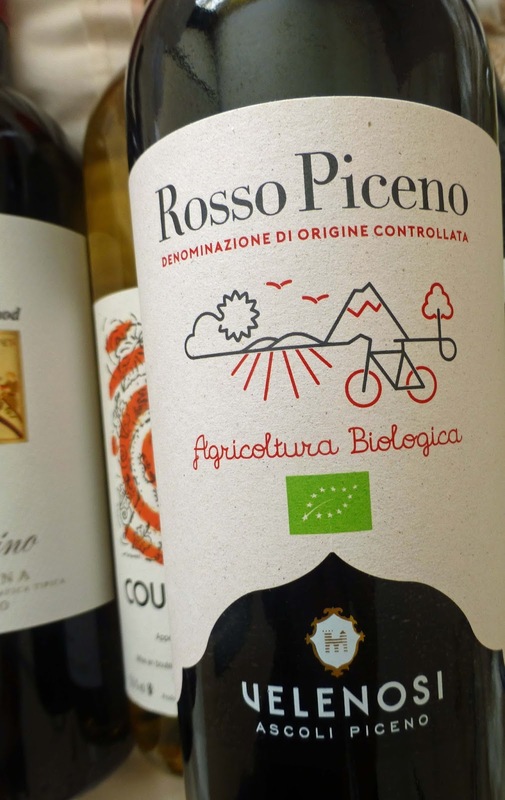 They also say that it is “Part of great value Italian wines made by cooperatives". 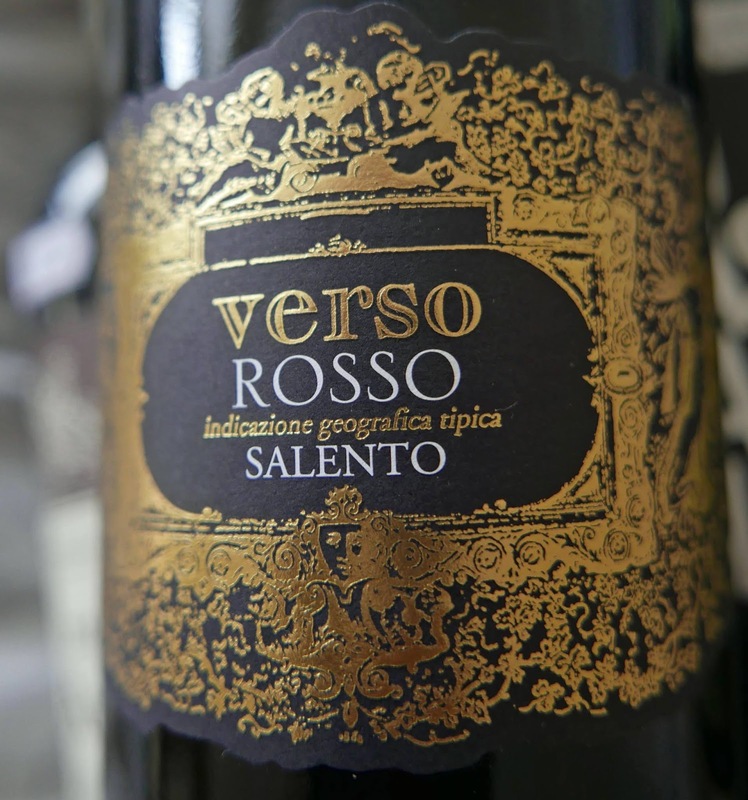 This mid ruby coloured wine has inviting red fruit aromas, a hint of spice too. The same fruit and spice invade the palate, in the nicest possible way; it is medium-bodied with good acidity, a decent finish with soft tannins. Easy drinking (despite the high alcohol), very pleasant and Highly Recommended. 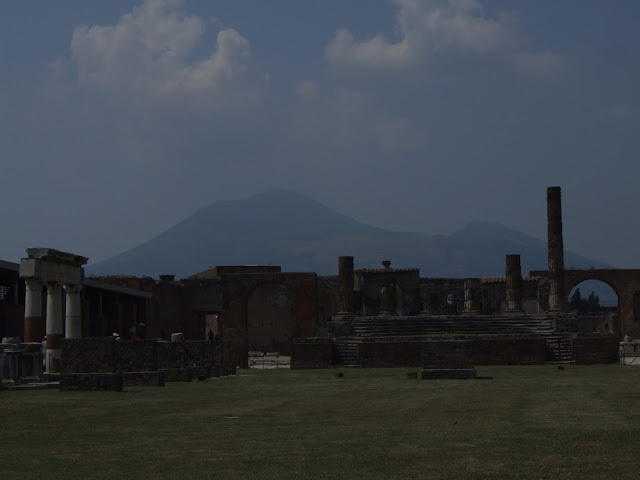 Perfect, they say, with pizzas and pastas, white and red meat, and rich fish dishes. Salento is a town in Puglia in the south-east of Italy. Oak ageing has played a role here and the wine is made with a “small amount of apassimento” which gives a raisin element in the flavours. They recommended using it with red meats, stew, game and mature cheese. Duck breast should also be a good match. 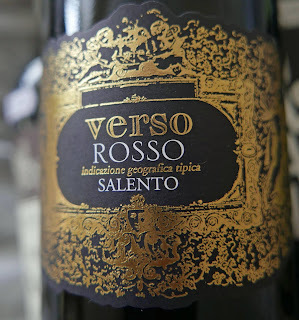 The blend is Negromaro (60%), Primitivo (35) and Malvasia Nera (5). It is a deep red (skins have been left in must for “extended period”). Legs are slow to clear. Dark fruit on the nose. 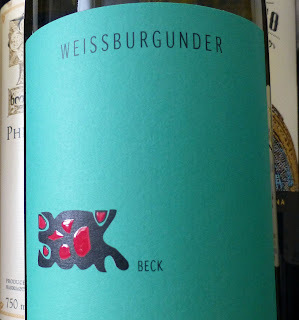 Juicy and fruity (think crème de cassis) with a vibrant spice, sweet tannins at play also. An easy drinking wine and Highly Recommended. 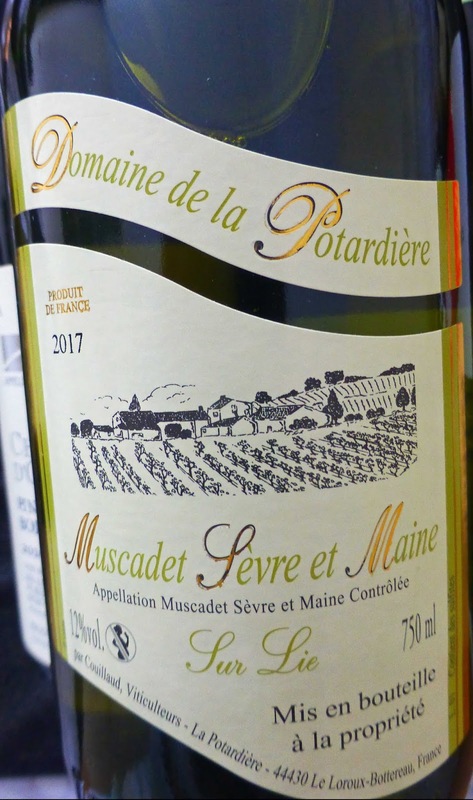 This blend of 50% Sauvignon Blanc and 50% Sauvignon Gris comes from a stunning estate located at the gateway of Cadillac in the small municipality of Beguey, overlooking the Garonne River. 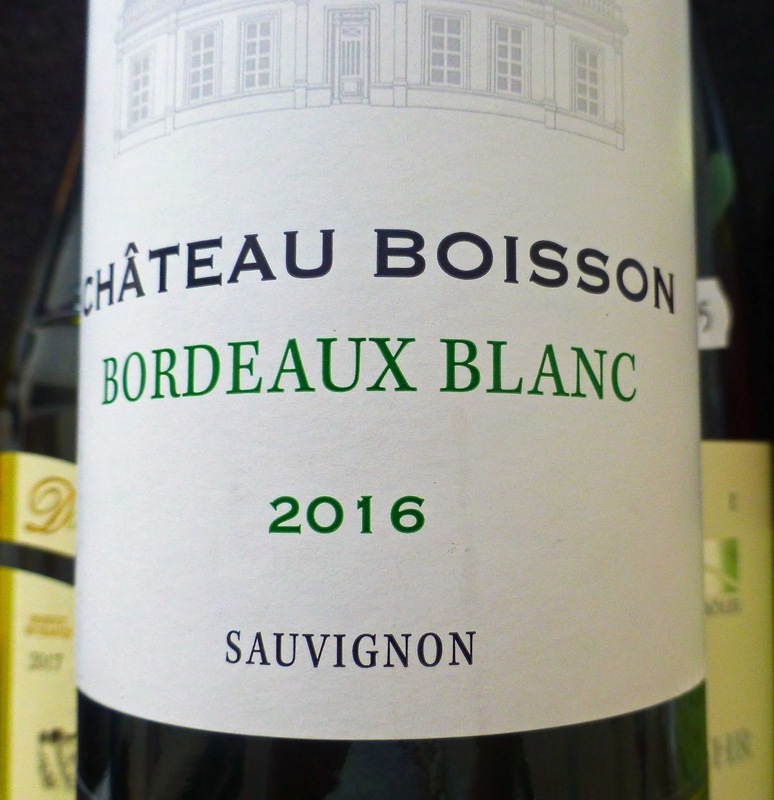 You’ll hear that Bordeaux whites are often better value than the reds and this is the case here. It has a pale straw colour. 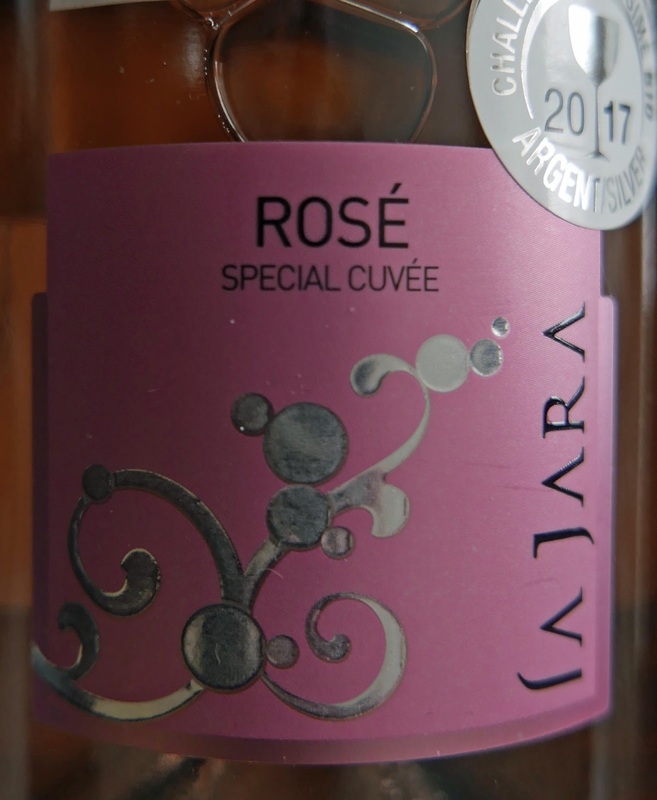 Citrus and floral notes feature in the expressive nose. Fresh engaging fruit on the palate, lovely acidity also and a superb lip-smacking finish. 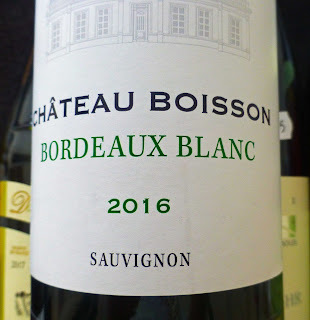 A Highly Recommended melange of Bordeaux fruit and craft. It has spent two months on fine lees and is, they recommend, a perfect accompaniment for oysters, sea food and smoked salmon sushis. The salmon I enjoyed it with wasn't smoked but they paired well nonetheless. 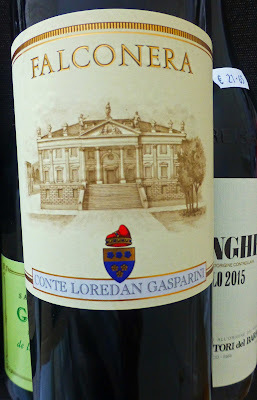 This Merlot is from the Montello region, 50 kms north of Venice, where the Count used to hunt with his hawks (hence the wine’s name). 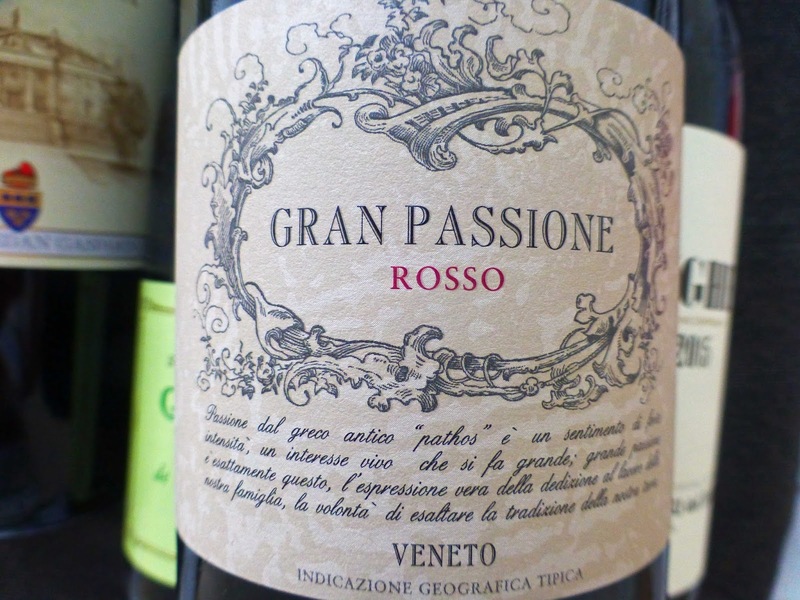 With medium tannins and good acidity, you’ll find it pairs well with many foods. 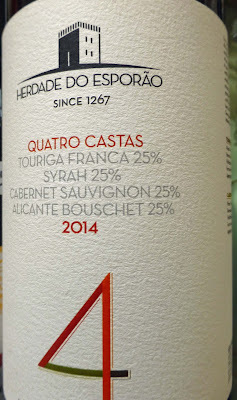 It has spent 18 months in oak (25 and 50 hectolitre barrels). And, “a little secret” from the vineyard is that they add in 10% Malbec from the same fields. Mid ruby is the colour. There are intense scents of cherry and berry, plus vanilla from the oak. On the palate, it is fresh and fruity, light and bright, with delicate spice notes, a pleasing acidity and a long mellow finish. 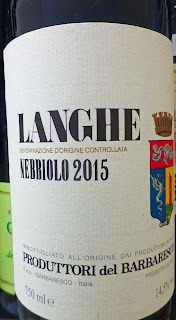 Many of us would not immediately associate Merlot with Italian wine (though it has some history in this area - see last para) but this is a very convincing effort and Very Highly Recommended. 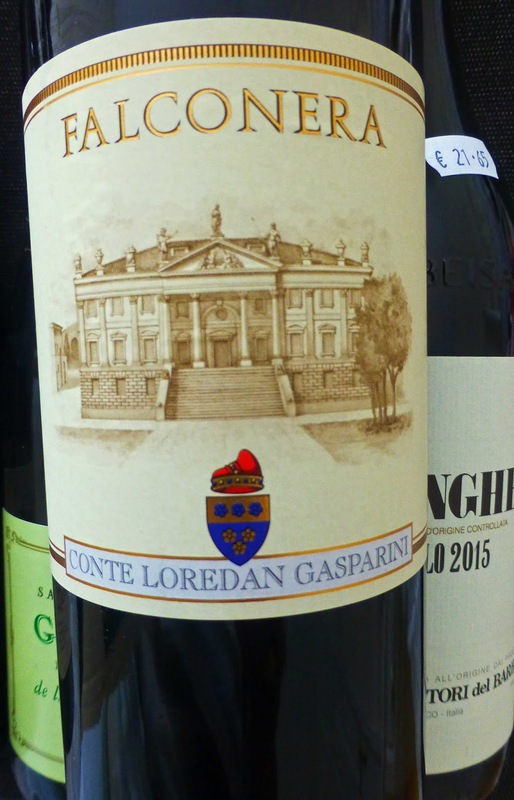 Count Loredan Gasparini wasn't just a hunter. In the the 1960s, he was responsible for the “celebrity” wine Riserva Capa di Stato, first made in 1964 and still produced today. 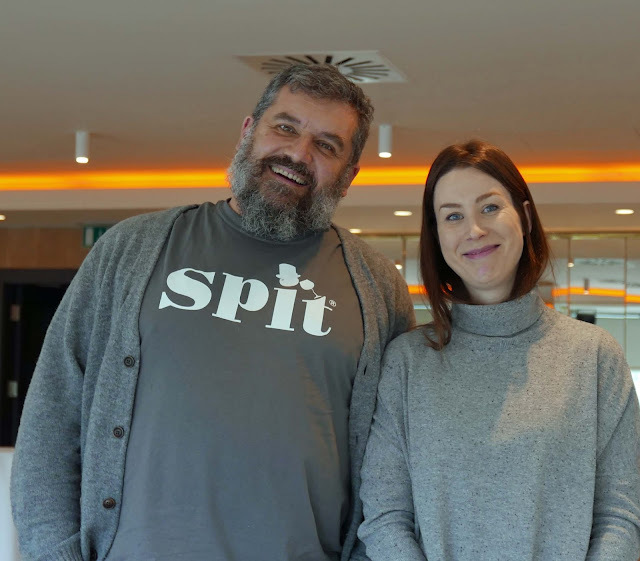 According to the Modern History of Italian Wine, this celebrity owed its name to the fact that it was served to heads of state visiting Venice. They loved it and international newspapers included it in shortlists of the world’s great wines. The wine, like our Falconera, came from the Montello area where Cabernet Sauvignon, Merlot, Cabernet Franc and Malbec are grown from old clones. Mid ruby is the colour here. Aromas of ripe red fruit, slight spice. 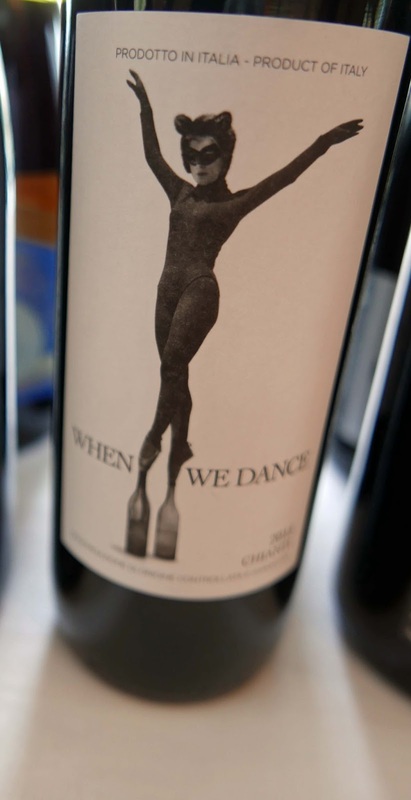 Fruit and spice on the palate too; it is mid-bodied, a light touch of tannins, balancing acidity of course! Very quaffable everyday wine I was thinking but it’s a bit more than that. Certainly has the second glass appeal and Highly Recommended. Corvina may not be one of the big names in grapes mainly because it is usually blended in its home area which is the north of Italy. 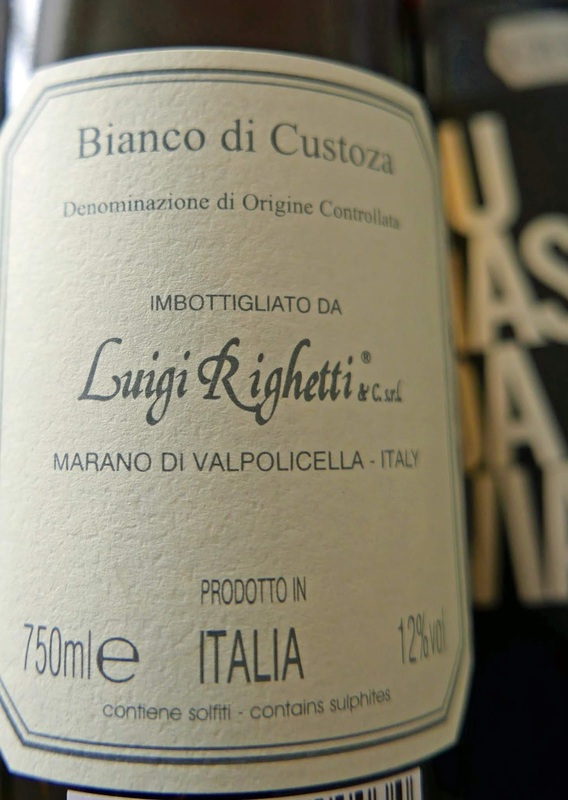 It is the cornerstone of Valpolicella and Bardolino and the major contributor to the blend that gives Italy’s most famous dried grape wines, Amarone and Recioto. Rosé and Low in the Garden. Summer Wine. This frizzante is an organic wine, a special cuvée. 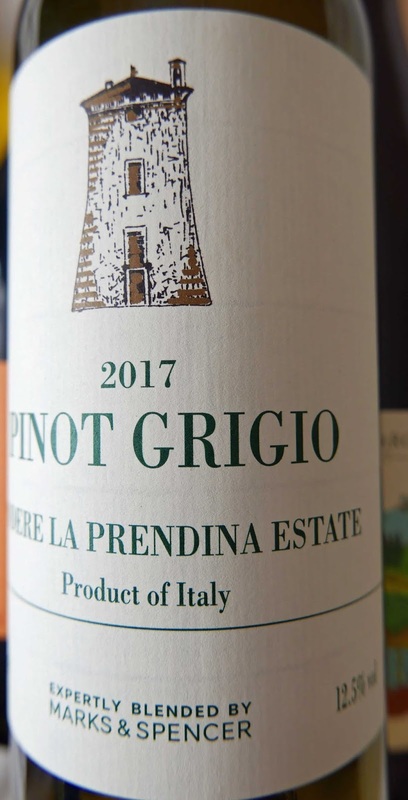 No mention of Prosecco on this bottle though the grape is the Glera which is used in the region to produce the famous Italian drink, both spumante and frizzante. 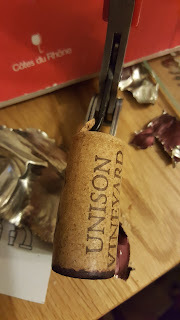 The cork is secured with string and this confuses some people, confused me up to a few years ago. There is a helpful diagram of a corkscrew on the top of the cork and you can easily open it with the regular one. It is a very clean and bright pink in colour. There are very delicate aromas of strawberry and raspberry. 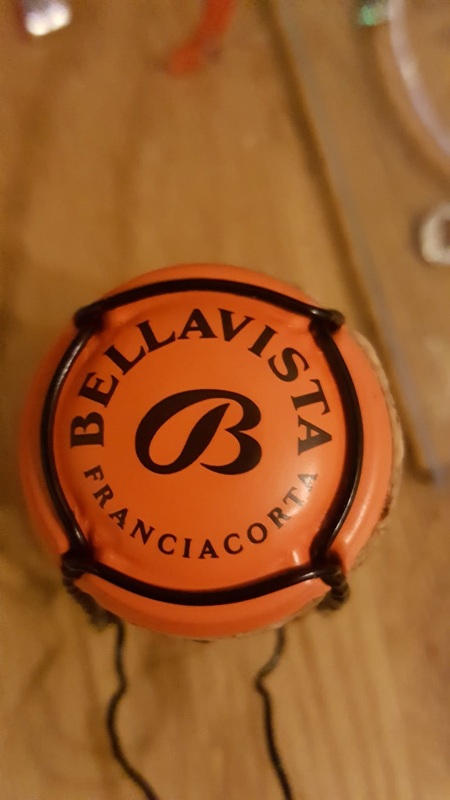 Bubbles, except at pouring and for a short while afterwards, are scarce enough but do remember that this is a frizzante (semi-sparkling). There is a bubbly feel to it in the mouth and also a biscuity flavour along with some fresh and fruity berry flavours. 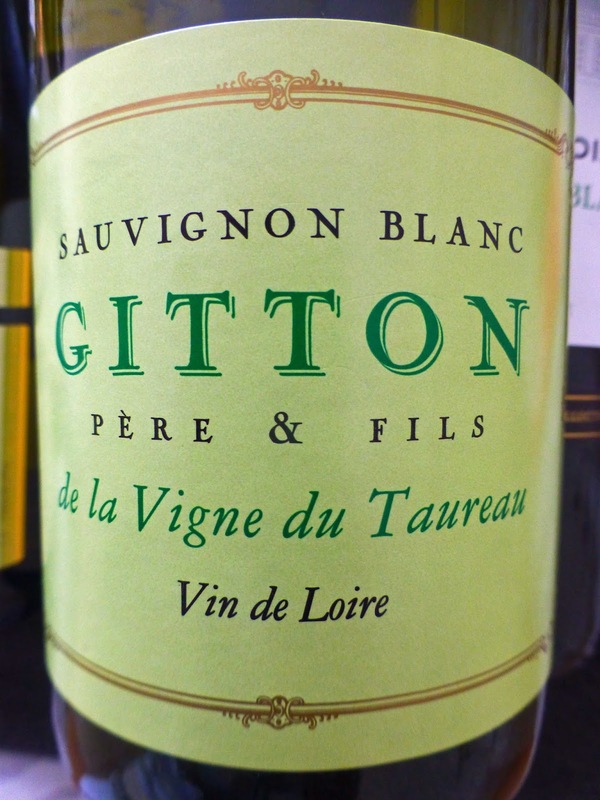 This very pleasant wine is perfect as aperitif. Get in a few of these for summertime in the garden. Highly Recommended and good value too. 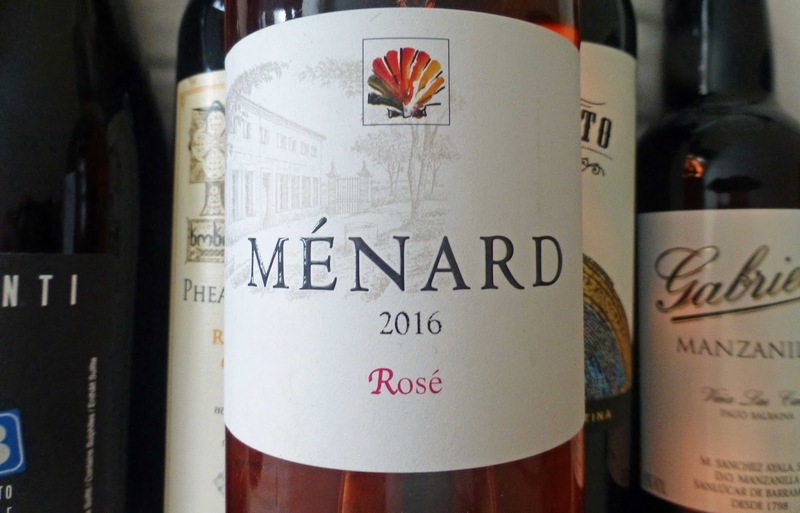 This is a blend of Cabernet Sauvignon, Cabernet Franc, Syrah and Tannat and the salmon pink colour has more depth than your normal rosé but with a bright sheen. Strawberry and floral notes in the aromas. No shortage of lively red berry flavours. 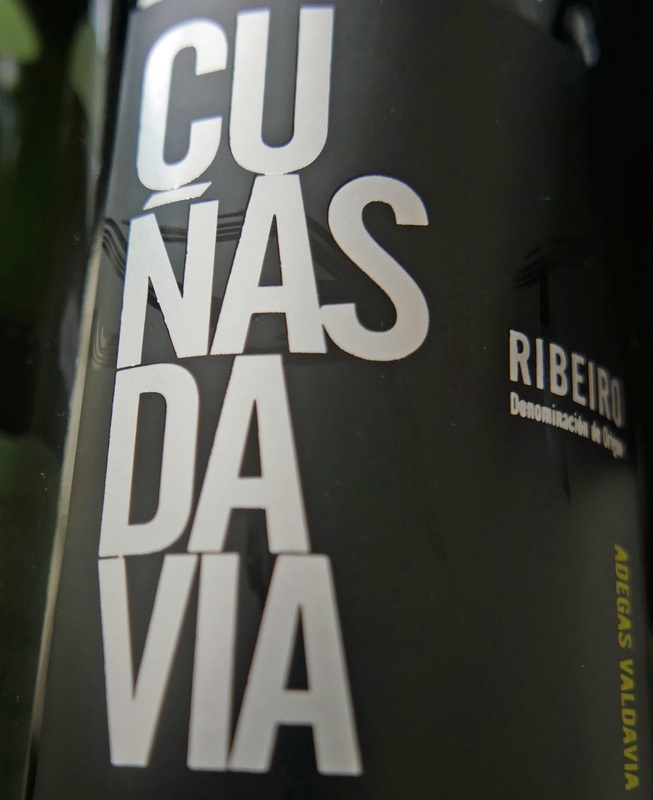 It is fresh (harvest takes place at night) and full with excellent balance. One of the better rosés and Highly Recommended. Serve it well chilled, they say, with Basque and Spanish cuisine. I’m sure we can come up with something Irish also. In any case, it is delicious on its own. 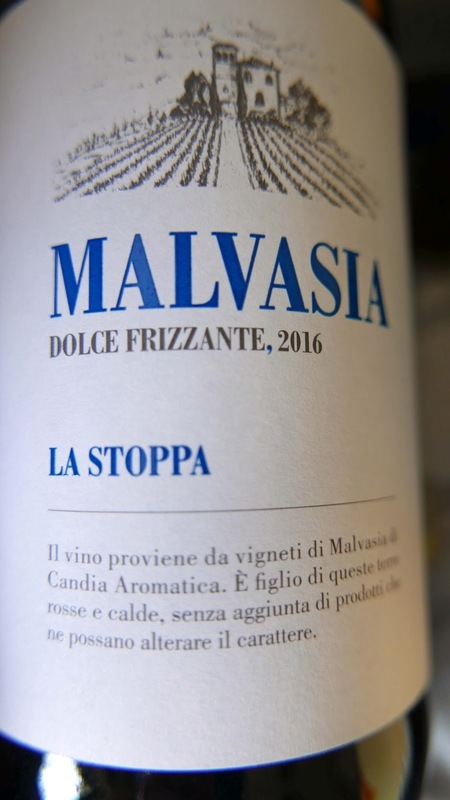 La Stoppa Malvasia Dolce Frizzante, Emilia (IGT) 2016, 7%, €17.06 64 Wine Dublin, Bradley’s of Cork, Greenman Dublin, Le Caveau Kilkenny. 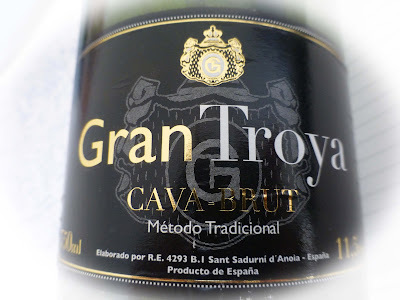 The Malvasia di Candia aromatica is the fruit for this moderately sweet bubbly wine. 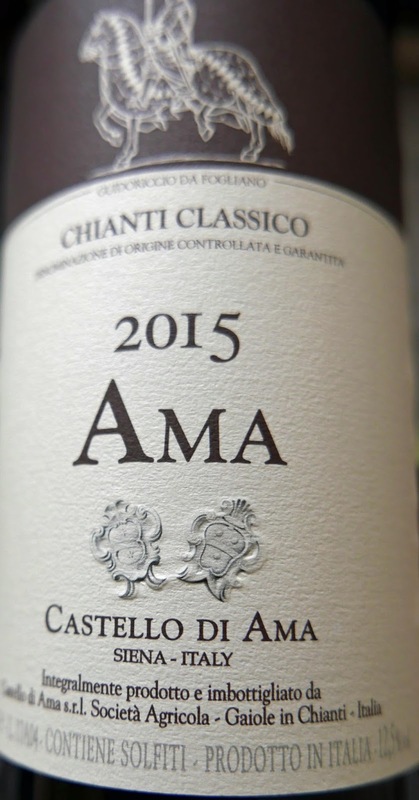 Single fermentation is via the Charmat method (also used in Prosecco). Note that the ABV is just 7%. Ripe melon and notes of honey come through on the nose. Colour is a light straw, lots of micro-bubbles cling to the glass. Not that many bubbles and not for very long. It is frizzante, not spumante! Easy drinking (not a hint of cloying), moderately sweet (like a French moelleux), honey and fruity and a good finish. Gone up, in my estimation, since the previous year, so now Highly Recommended. 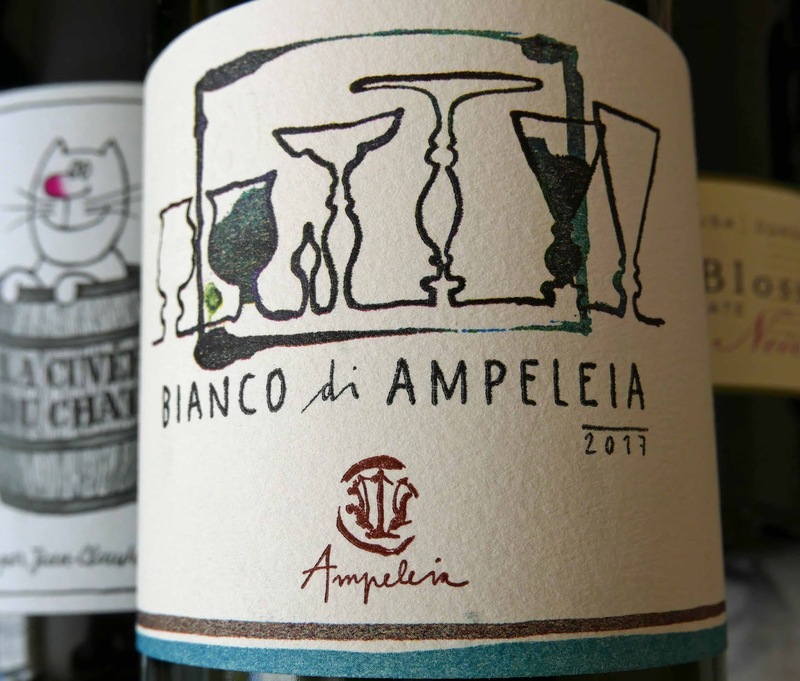 A Trio of Delicious Whites For You! Vesevo is an old name for Vesuvius and the vines here are grown on poor volcanic soil. 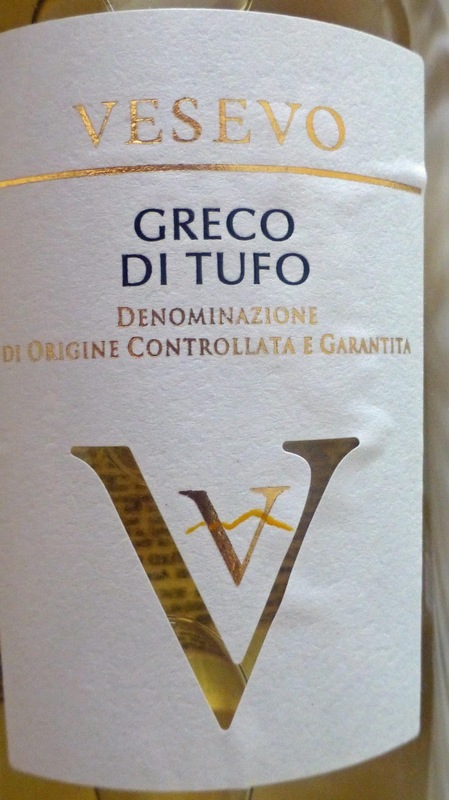 No oak is used in producing this 100% Greco in Tufo, a DOCG right in the middle of Campania, the large administrative region that includes Naples. 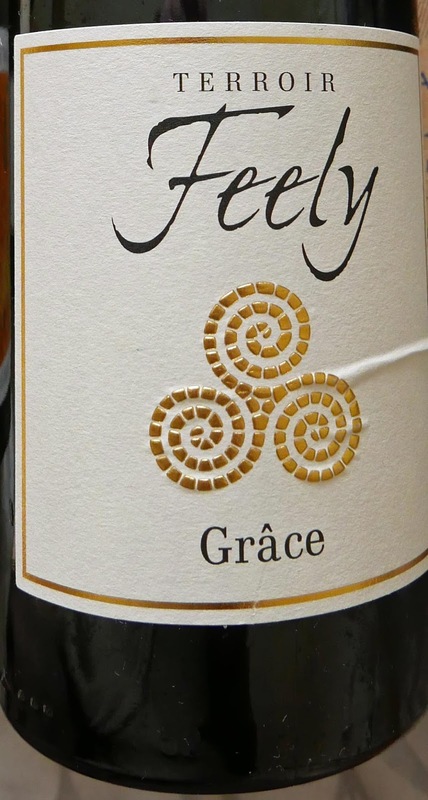 This Greco is a light gold in colour and has quite an intense white fruit bouquet, an attractive one. 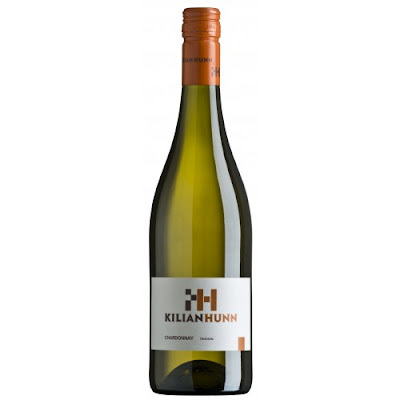 That fruit (peach led), with a crisp minerality, features strongly on the palate, an excellent mouthfeel. Balance is more or less spot-on too and a decent finish as well. Pretty much as good as Greco gets with rich fruit initially and then that sharp minerality. Very Highly Recommended. 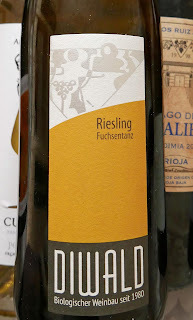 Colour of this white wine, made in Spain from the Godello grape, is a very light yellow. Aromas are rather complex, with floral and fruit notes. 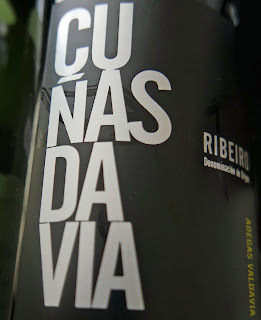 The palate is smooth, almost creamy, again that mix of floral and fruit (Grapefruit, melon), good acidity and balance. The finish is lingering and satisfying. Highly Recommended. 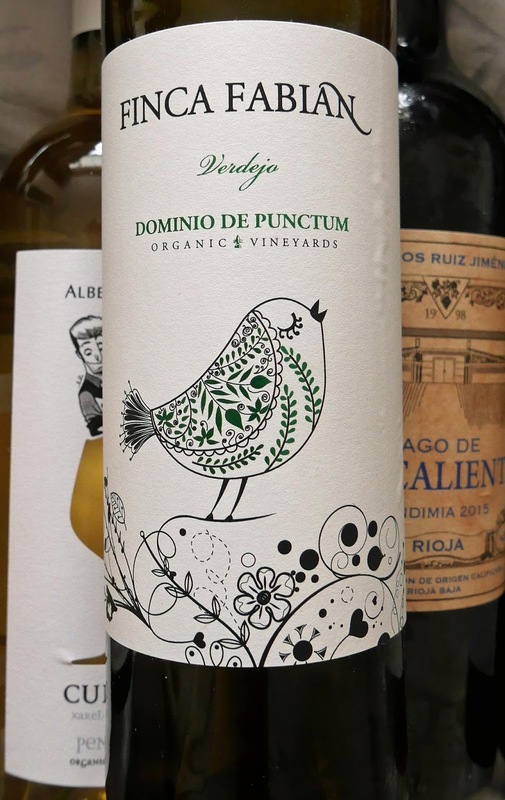 This Verdejo is made from organically grown grapes, night harvested and cold maceration before fermenting. Colour is straw yellow, bright and clear and there are white fruits in the aromas, floral notes too. 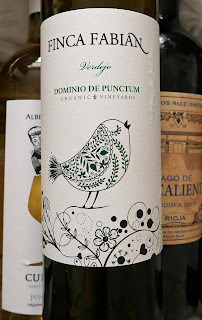 It is fresh and a little livelier than many Verdejos, excellent fruit flavours and balancing acidity. A lovely drop indeed with a long and pleasant finish. Highly Recommended. Good value also, by the way.